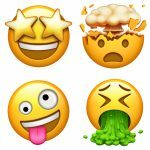 Home Blog Apple Mac What are the Best new features in iOS 11? 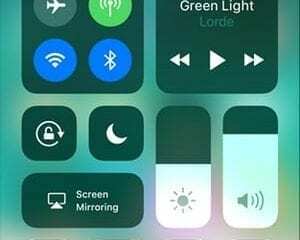 What are the Best new features in iOS 11? The latest Apple update hit our systems last month and there was the usual frenzy of people trying to download it to their iPhones. But was it worth the wait? What do you think? Pretty much all of the HardSoft team are Apple users and they’ve all now downloaded iOS 11, so we asked them what they thought about this latest update. The new control centre is full of widgets that you can access simply by swiping up from the bottom of your screen. The control centre has had a redesign allowing you to fit more on the screen and you can change what you have on it. You can increase/decrease the brightness, select the camera and choose whether to take a selfie or a forward facing photo, turn your wifi and bluetooth on and off, and add whatever you want. Our team have noticed that when you turn the wifi or bluetooth off using the control centre, you’re only disconnecting it from the nearest one, and it only disconnects until 5am when it then reconnects to the network it was last on. Not quite as helpful as you’d first think. A change that is specific to the iPad is the new swipe down on the virtual keyboard. If you swipe downwards on the virtual keyboard keys you can access alternative characters, so a swipe down on the letter r will give you the number 4 or doing it on the full stop will give you a question mark. Much quicker than holding the shift key down and finding the right key! A second change that is specific to the iPad is the new dock. It’s the same as the Mac OS dock in as much as it’s always there, and can be accessed by swiping up from the bottom of the screen. You can then start multi-tasking by dragging and dropping apps. Apple have always said that you don’t need to access a file system with iOS because it’s not a desktop operating system, it’s mobile software. That’s said, 1OS 11 has a new app built in, called ‘Files’ which will do just that. You can use it to sort files on your iPhone or iPad on iCloud Drive, in certain apps and even in some 3rd party cloud such as Google Drive. If you rarely use Siri because you feel silly talking to your phone, you can now use your keyboard to get her to answer questions. All you have to do is go to accessibility settings and activate ‘type to Siri’. It does take longer than doing it by voice and Siri will respond that way, although of course you can change the setting for that too.